Inspired, creative expression of Belize's spiritual depth. Oh God, Where Are You? How Does Societal Transformation Happen? How on Earth Do We Live Now? 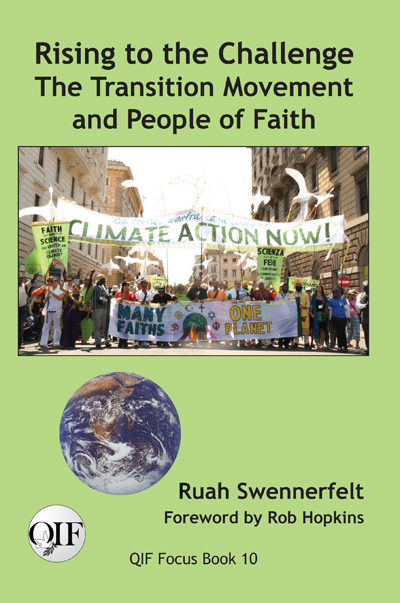 Rising to the Challenge: The Transition Movement and People of Faith presents the Transition Movement, which encourages people to band together with neighbors to design a transition to a low-carbon future. Swennerfelt examines the Transition Movement by interviewing Transition participants from Europe, Brazil and the U.S. with a special emphasis on people of faith. "Beautifully written, personal and inspiring, the book points a way forward out of despair to connection and action rooted in deep connection to the sacredness of Earth." Starhawk.